According to edtech expert and blogger Michael Gorman, technology integration needs to be a step-by-step process that amplifies the learning experience. With this in mind, he has assembled a student-centered toolkit of free resources for technology integration. 1. ClassTools.netfeatures numerous tools—including social media, and graphic organizers—that enable students to become creators and producers. 2. With Screencast-O-Matic, students create and edit their own videos to curate curriculum and demonstrate learning. The videos can be saved for future learning and exported to multiple locations. 3. The wonderful set of over 50 interactive tools that constitutes ReadWriteThinkcan be used in any area of the curriculum. 4. Google Lit Tripsuses Google Earth to bring an authentic reading experience through literature to all grade levels and shows student how to make their own trips. 5. The Right Question Instituteteaches Question Formulation Technique (QFT), a simple yet powerful technique to help students learn to ask their own questions and take ownership of meaningful inquiry and research. 6. Weeblyenables both teachers and students to create Web sites to enhance the curriculum and demonstrate learning. Weebly is easy to use and offers a variety of ways to demonstrate and engage. 7. With Blendspace, teachers can make lessons or use lessons from others, allowing for differentiation and student self-regulation. 8. Quizzizis a classroom quiz game that allows for group learning and individual reflection. 9. 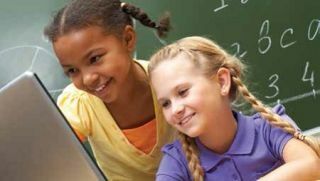 For classroom 1 to 1 management, Nearpodprovides interactive lessons using slide shows on each student’s device, with Web visits, slides, and assessments. 10. Students receive instant feedback with Formative, a tool for gauging learning for individuals and whole groups.